may go on field trips, have programs, parties, and play time. Experience is a great teacher. The Potter's House will help your child grow through many different types of activities. 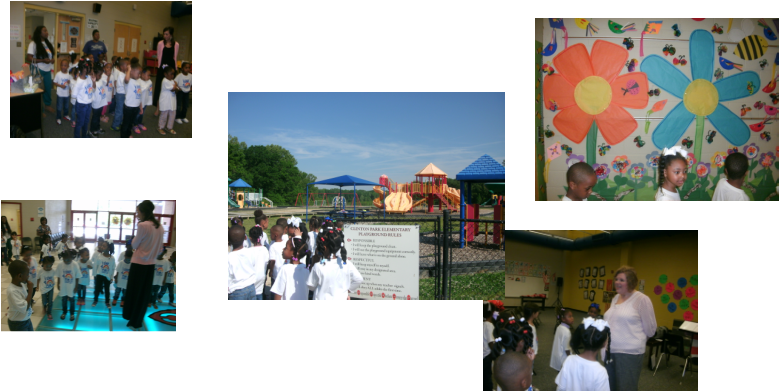 We have gone on field trips, such as one to Clinton Park Elementary where the kids met the Principle and some of the teachers. We believe trips like this to some of the area schools the children will be attending as they get older helps them get over any fears they may have about "Big School." We also have programs, pageants, parties, and play time. Outdoor play time is essential to the healthy development of children. TPHLC has a safe fenced playground. Your child will go out daily, except under extreme weather conditions. Please send a note if your child is to stay inside for recess. Please make sure that all children have proper Winter coats, hats, and gloves to enjoy the Winter time.